Customer loyalty is truly the cornerstone of our team’s success. We never lose sight of the fact that loyalty is earned and cannot be taken for granted. Recognizing this fact, our professional team of sales associates is consistently focused on serving you with your needs concerning Las Cruces homes! We pride ourselves on being the community leader in making significant investments in training and support services for our professional sales associates. 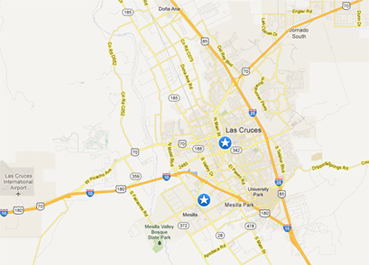 We have even more exciting plans for the future growth of our company’s services all designed to strengthen our expertise on Las Cruces homes which translates into serving you better than ever. The quality of any service or product is what the customer says it is! We look forward to serving you and discussing your real estate needs or answer any questions you may have about our vibrant and growing city and the homes that make it such a wonderful community. Time spent with you is time well invested for today and tomorrow. Thank you for choosing a Steinborn & Associates Real Estate team member to service your Las Cruces real estate needs and your needs concerning Las Cruces homes. © 2019 Southern New Mexico Multiple Listing Service. All rights reserved. IDX information is provided exclusively for consumers' personal, non-commercial use and may not be used for any purpose other than to identify prospective properties consumers may be interested in purchasing. Information is deemed reliable but is not guaranteed accurate by MLIS or Steinborn & Associates Real Estate. Data last updated: 2019-04-24T13:14:33.533.